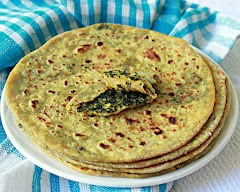 Sometimes, cooking with the same vegetables repeatedly is a little boring, mixing it with another vegetable or dal gives it a different shade. 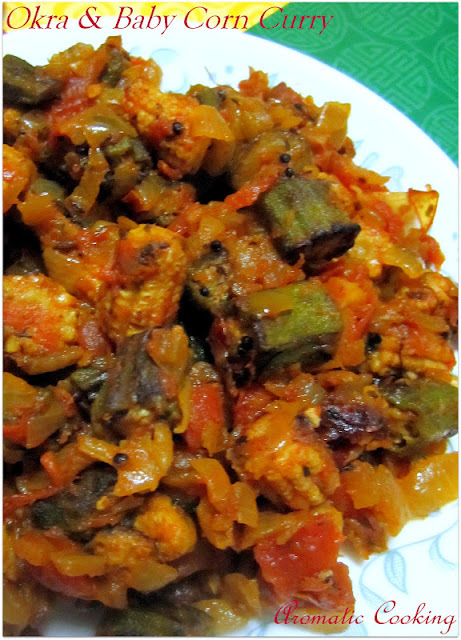 Adding baby corn to the okra, gave a nice crunch to the otherwise slimy texture of okra. Adding lots of onion and tomatoes gave a nice taste to it..
Saute the okra in oil, until almost cooked, add the baby corn pieces, half of the turmeric powder and salt and saute for a few more mins. Remove and keep. Now heat some oil add the mustard and cumin seeds, once they stop spluttering, add the kasuri methi, onions, saute for 5 mins, then add the tomatoes. Add the remaining turmeric powder, chilli powder and salt, saute well till the tomatoes are well cooked. Now add the cooked okra, corn and the cumin powder, mix well and serve. 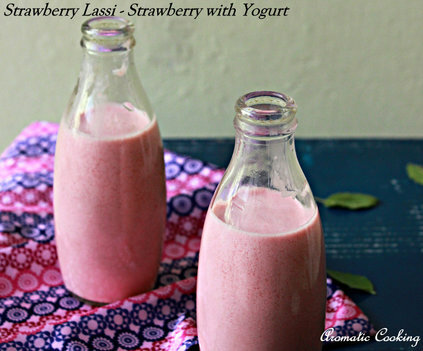 This goes well both with rotis and rice. 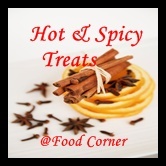 Sending it to Food Corner for the Hot And Spicy Treats event. Adding some roasted cashews or a dollop of fresh cream will make the dish even richer. delicious combo and very inviting curry !! Nice combo. 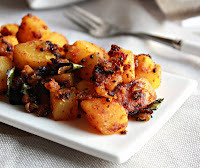 Great with rotis. 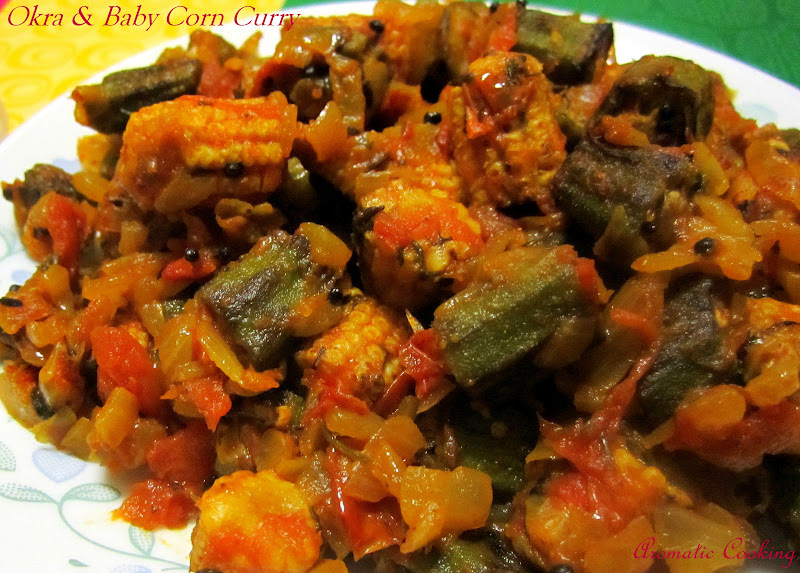 Looks so delicious...I never thought of baby corn & okra together in a curry! !Must be a great combo,will try next time.. 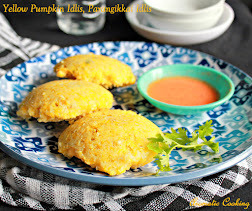 This is a delish combo..though never thought of it..will make this soon. 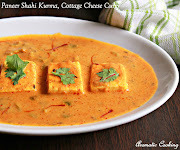 unique combo, never tasted before....looks so yummy and tempting...nice recipe too! !